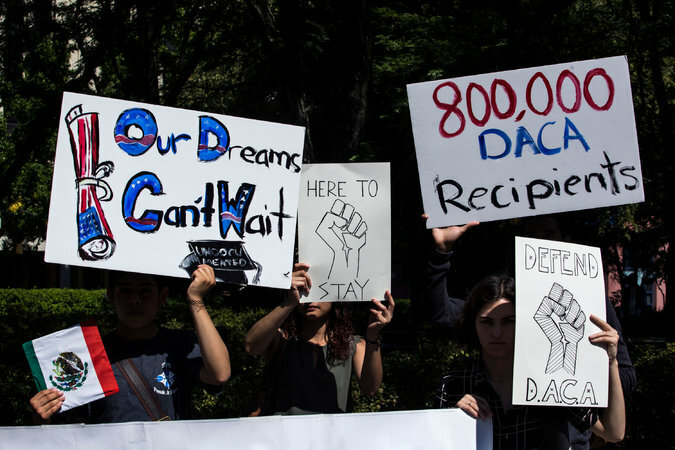 On September 5, 2017, Attorney General Jeff Sessions announced the end of the program commonly known as DACA – Deferred Action for Childhood Arrivals. Implemented as an Executive Action by President Obama in 2012, DACA provided temporary protected “status,” employment authorization and limited travel authorization to nearly 800,000 children and young people. President Trump ran on a platform of immigration enforcement, and sadly it is not surprising that the DACA program has been eliminated; yet we all feel a deep sense of sadness at having to deliver the news to our clients, their families, and the employers that have come to rely on DACA recipients. No new applications for DACA will be accepted after September 5, 2017. They will be rejected and returned to sender. Anyone that holds a current DACA approval that expires before March 5, 2018 may apply for an extension, but that application MUST be received before October 5, 2017. Currently-pending applications for DACA renewals will remain pending, and will be considered on a case-by-case basis for approval. It is assumed that this means “business as usual” for these cases. No applications for advance parole (I-131) will be accepted or approved after September 5, 2017. This includes pending applications. Those with currently-approved I-131s/ advance parole may continue to use them through the validity period. There are no current plans to rescind approved DACA benefits, or terminate them early from those that hold them. In other words, those that have benefits will be allowed to keep them through the end of their validity, even if that date is after March 5, 2018. If a current DACA expires after March 5, 2018, there is no longer the ability to renew/ extend that status and benefits. You may continue to use your approved Advance Parole through the expiration date. Of course, it is our sincere hope that Congress will act within this window to offer a permanent program for our DREAM-ers. You can help by contacting your Congressman, and putting pressure on your representative to obtain a real solution. If you have any questions about DACA, or alternative options you may have, please contact us at any time.